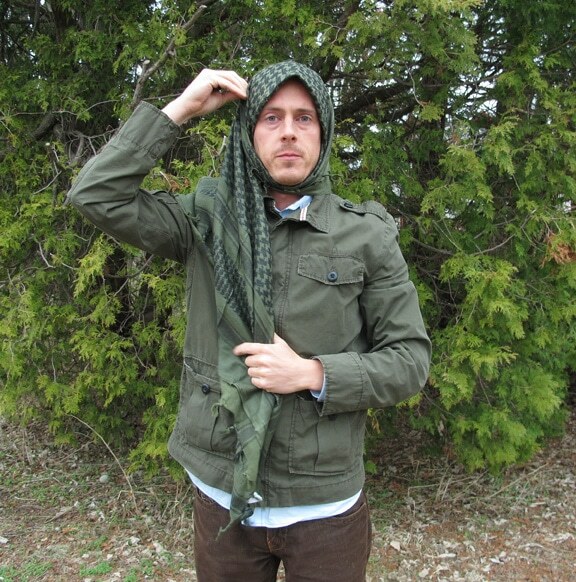 The shemagh (pronounced “schmog”) – also called a keffiyeh and ghutrah – originated in the Middle East. They are a scarf-type wrap commonly found in arid regions to provide protection from direct sun exposure, as well to protect the mouth and eyes from blown dust and sand. 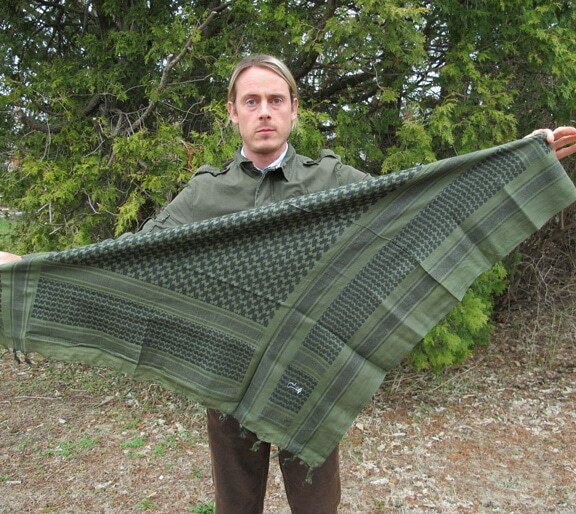 It’s similar to a bandana, except much larger – approximately 42″ x 42″. 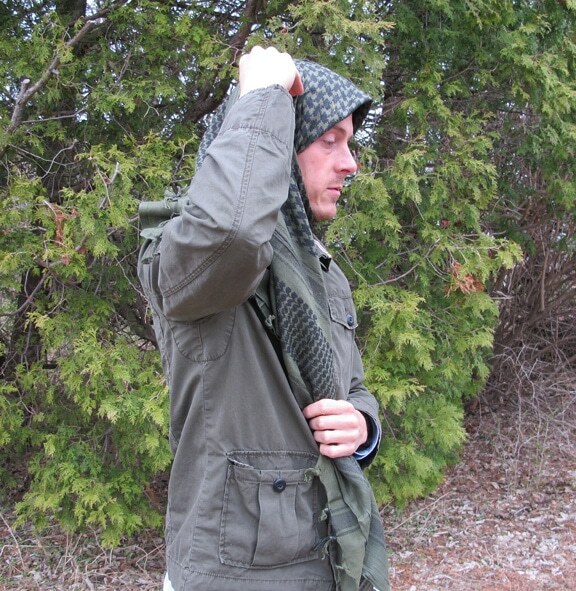 It has been adopted by military forces all over the world as a standard issue garment because of its sheer functionality. 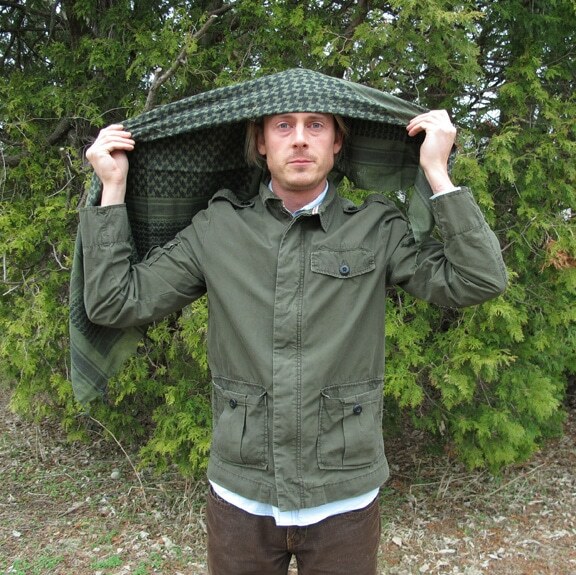 For decades, keffiyeh have been issued to British soldiers. The garment’s use by some military and police units of the former British Empire dates back to before World War II. Because of its utility, it was soon adopted by Middle Eastern units as well, including the Palestine Police Force, the Transjordan Frontier Force, the Arab Legion, and many others. They were worn while operating in North Africa as a way to combat the harsh winds and frequent sandstorms. After the war the shemagh continued to be used in both desert and temperate environments. The garment has also been in use with Australian armed forces since the Vietnam War, and extensively during the Iraq and Afghanistan wars. 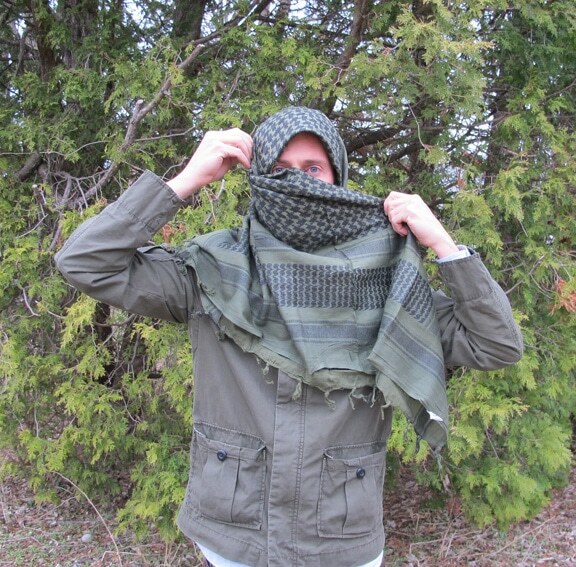 Since the beginning of the “War on Terror,” these keffiyeh have been adopted by US troops as well, who usually use cotton olive or khaki ones with black stitching. They are often worn folded in half into a triangle and wrapped around the face, sometimes coupled with goggles to keep sand out. 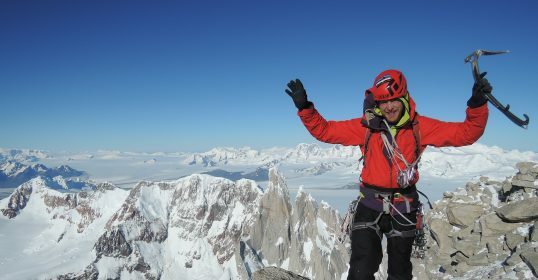 This style is also commonly practiced by troops in vehicles who use it in more temperate climates to combat the wind chill of being in a moving vehicle. 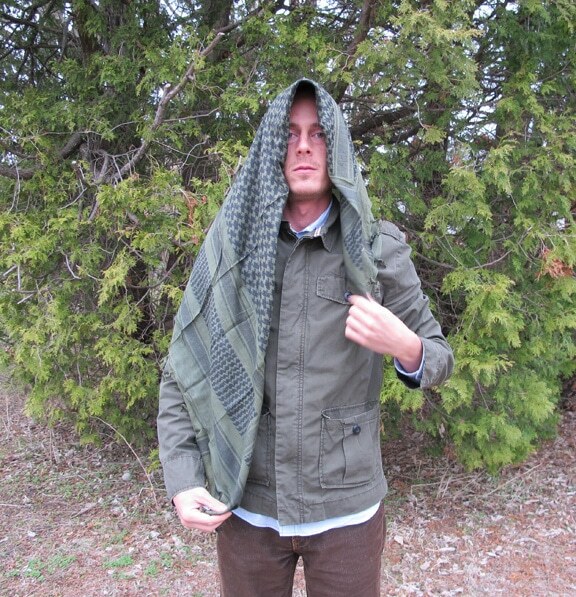 For an outdoorsman, survivalist, or bushcrafter, the shemagh can be a tool with literally hundreds of uses. 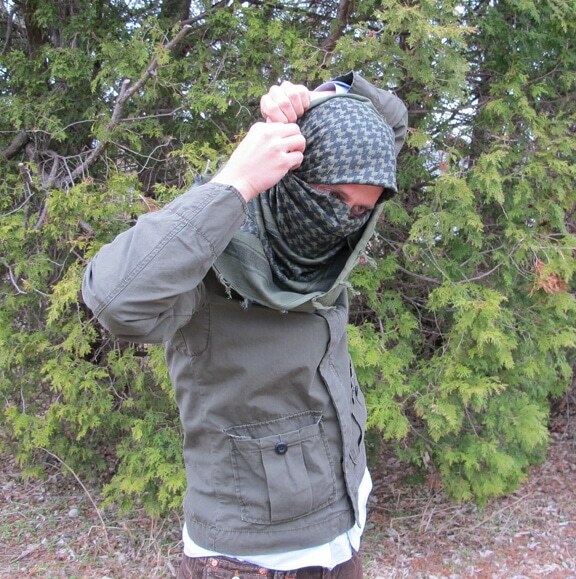 This post is simply a quick tutorial in how to tie a shemagh as a face mask and/or head wrap. This is a very functional use in all kinds of environments. 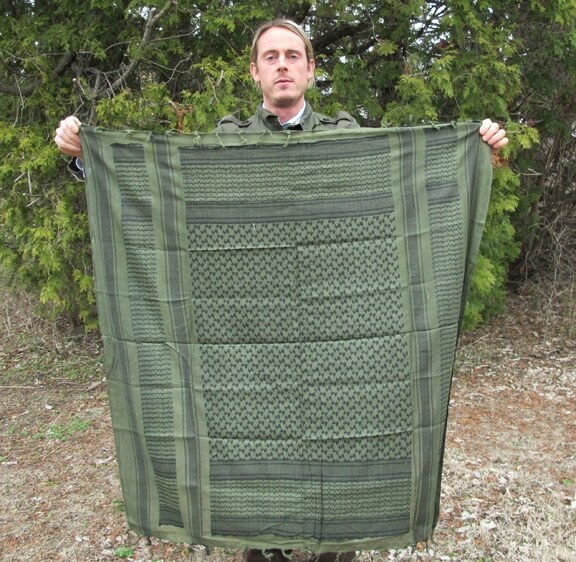 As you can see, with the right pattern, it can work as some effective camo as well. Using it as shown below is great for dusty/sandy environments. 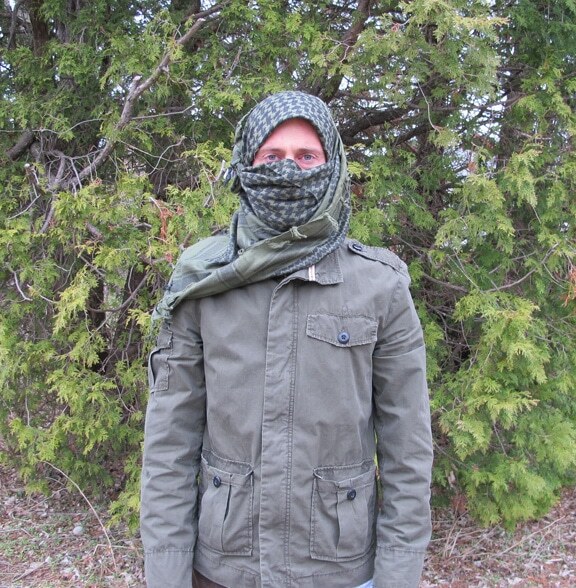 I went on a trip to the Sand Dunes in Michigan not too long ago and my shemagh was invaluable! I’ve also used it countless times in the winter for face and head protection. Step 1: Start with it open in a full square. Step 2: Fold it in half to form a triangle. Step 3: Choose a point three-quarters the way along the folded edge and hold it to your forehead like you are going to tie it bandana style. Step 4: As you can see, one side will be short and one side will be long. Step 5: Take the shorter end and pull in under your chin and up toward the back of your head. Side view of Step 5. Step 6: Take the longer side and pull it across your face. 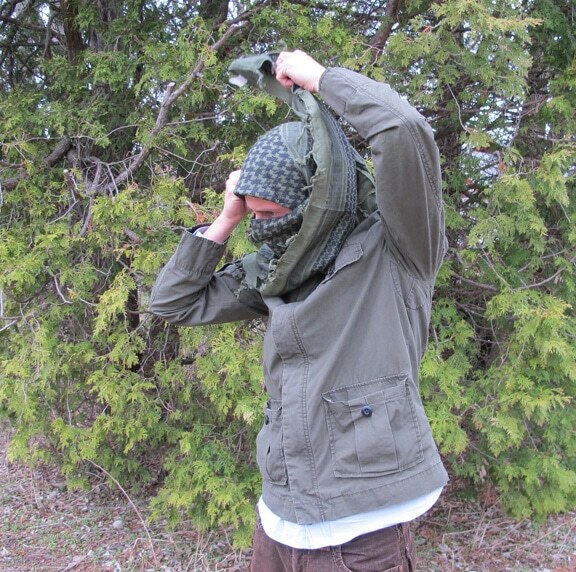 Step 7: Then wrap it up over your head toward the other end on the opposite side. Step 8: Tie the two ends together using two overhand knots. Step 9: Adjust as necessary.